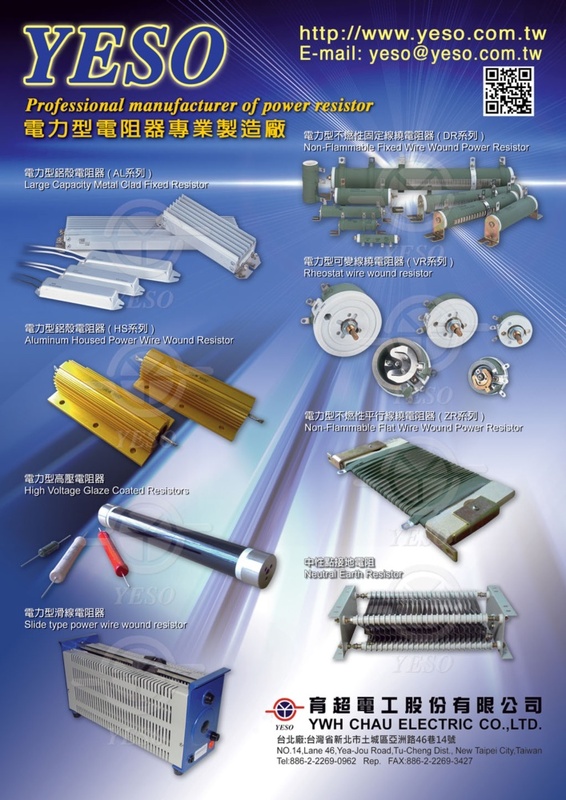 Ywh Chau Electric (Suzhou) Co., Ltd. (YESO) was established in 1983 and is one of the most famous power resistor manufacturers in Taiwan, with many years of experience and professional skills in the related area. We persistently strive to offer innovative products by continuously conducting research and development to ensure the leading position in the technology of products. In addition, YESO also maintains good business relationships with long-term and mutually beneficial partners in the same field. ‧YWH CHAU ELECTRIC CO., LTD.
‧Ywh Chau Electric (Suzhou) Co., Ltd.
‧Agent In Iran:RAD ELECTRIC CO.